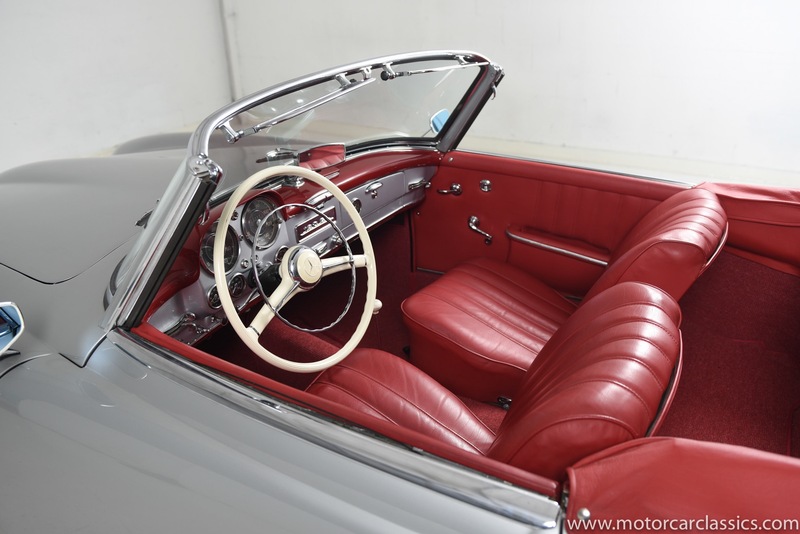 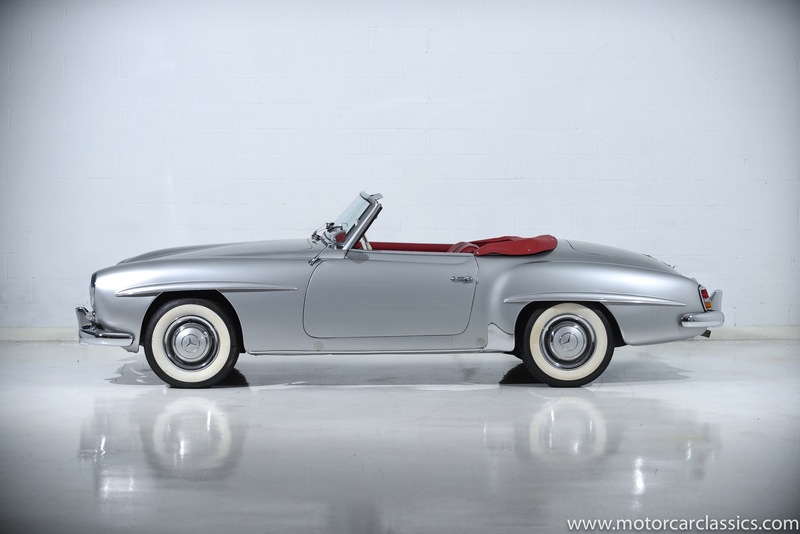 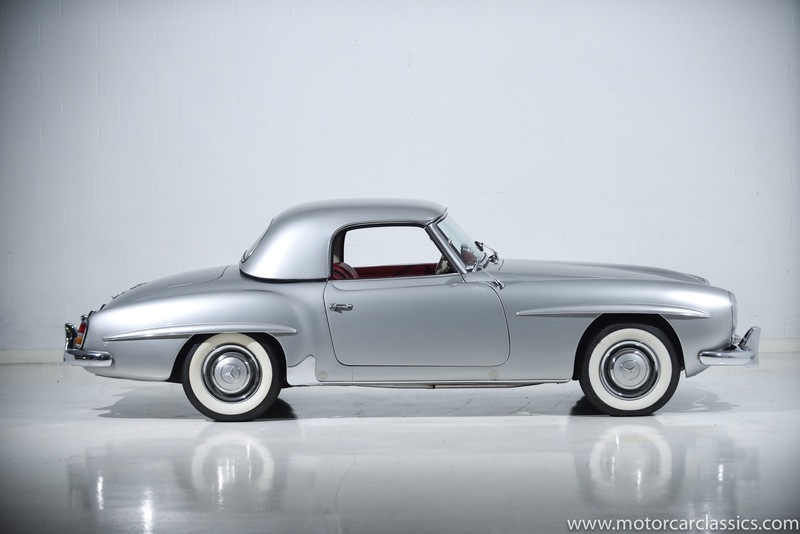 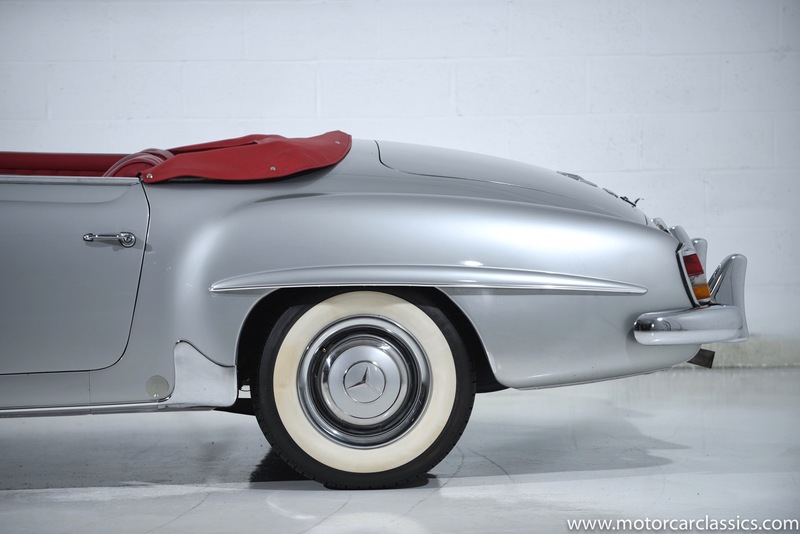 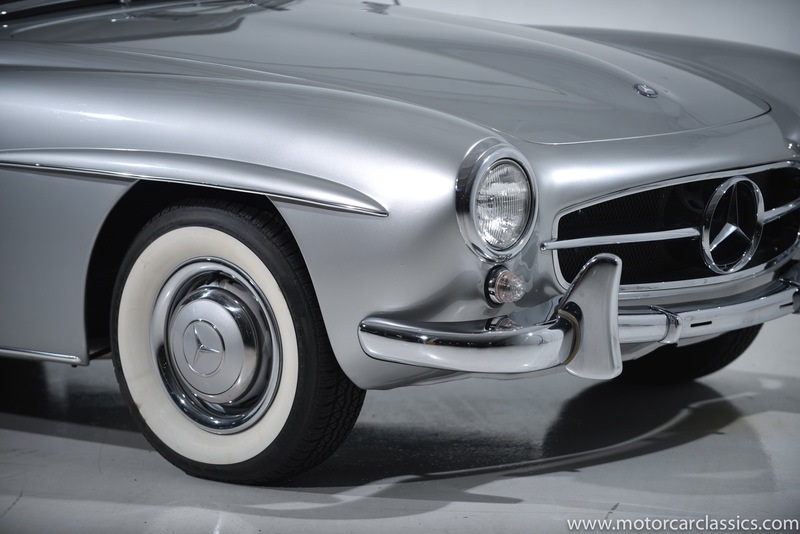 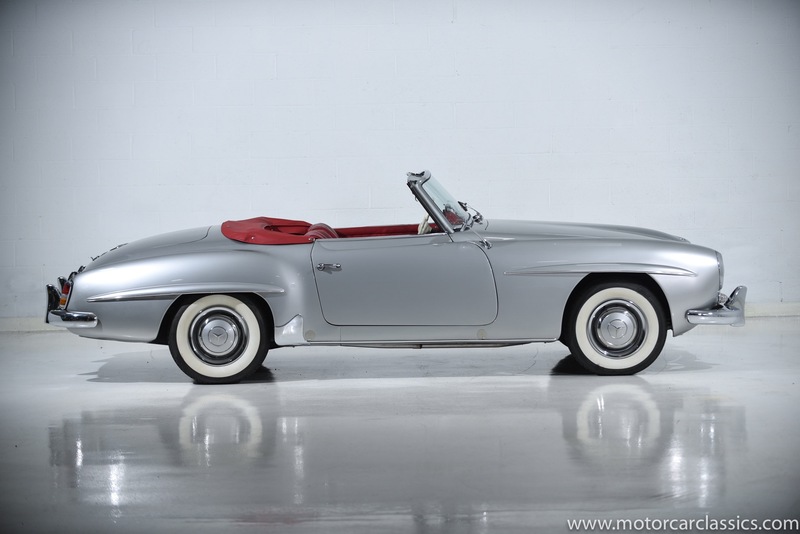 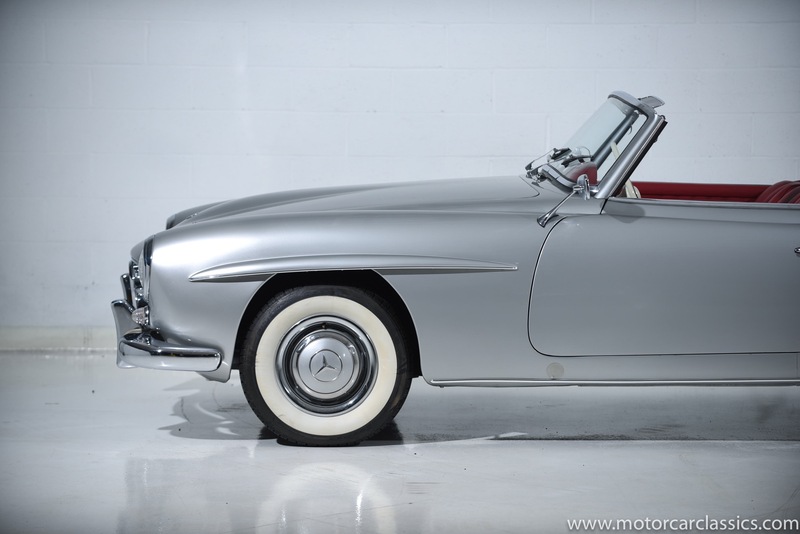 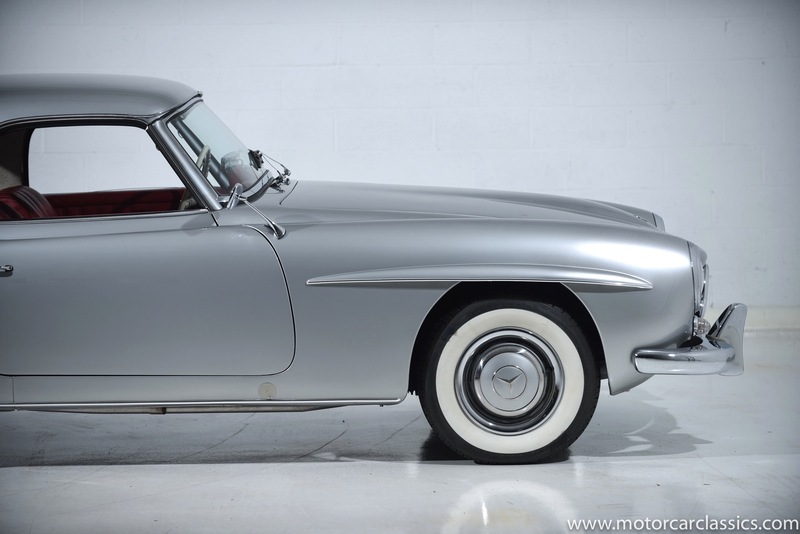 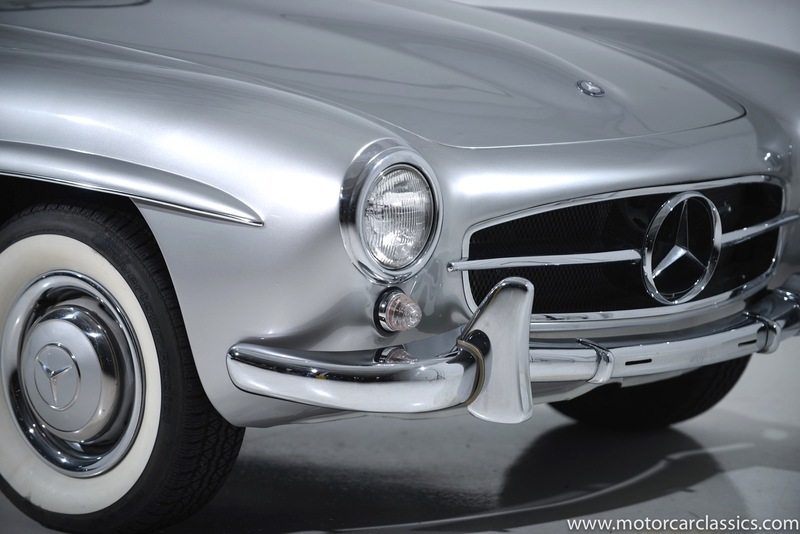 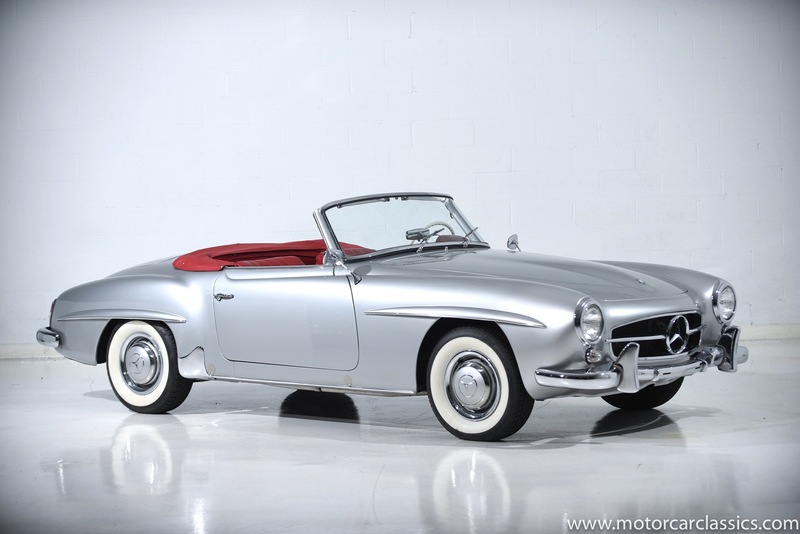 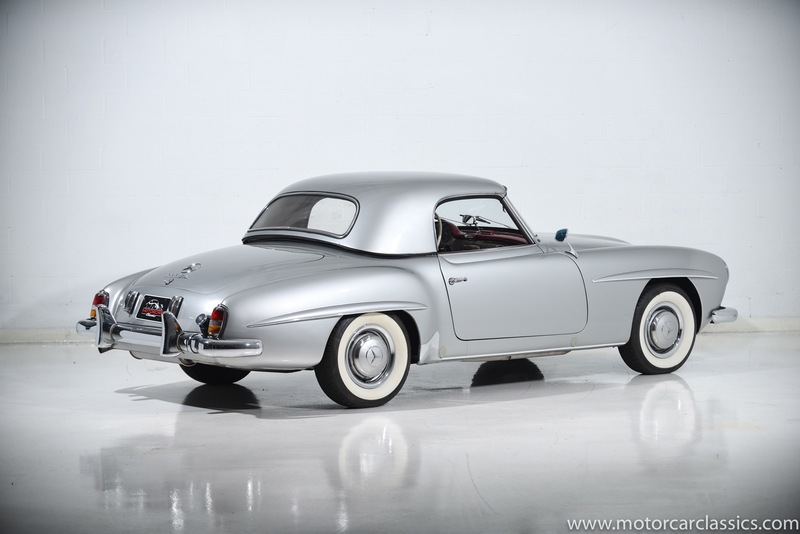 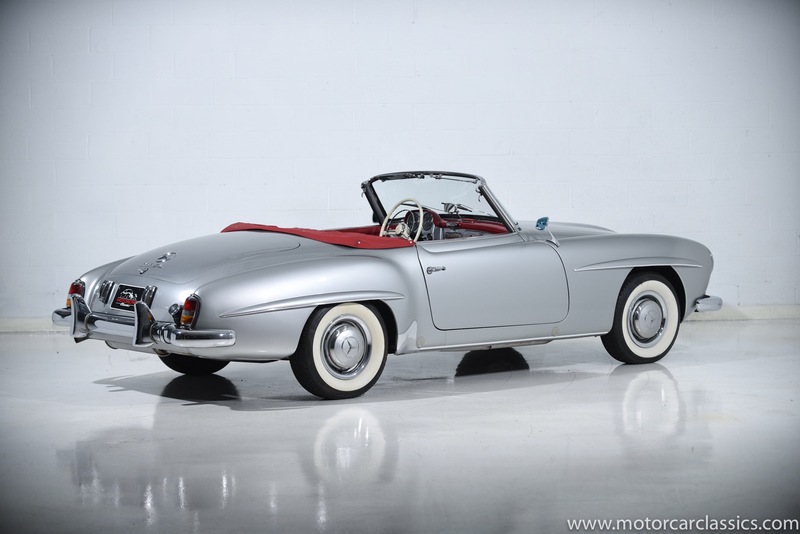 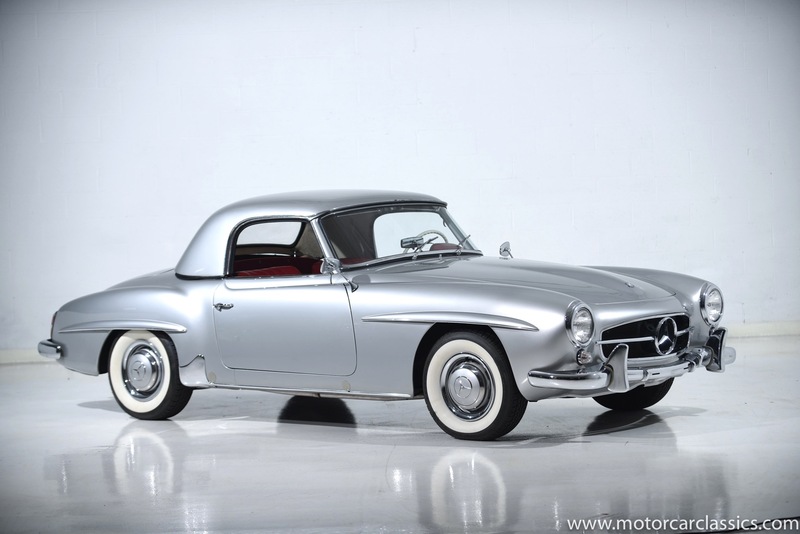 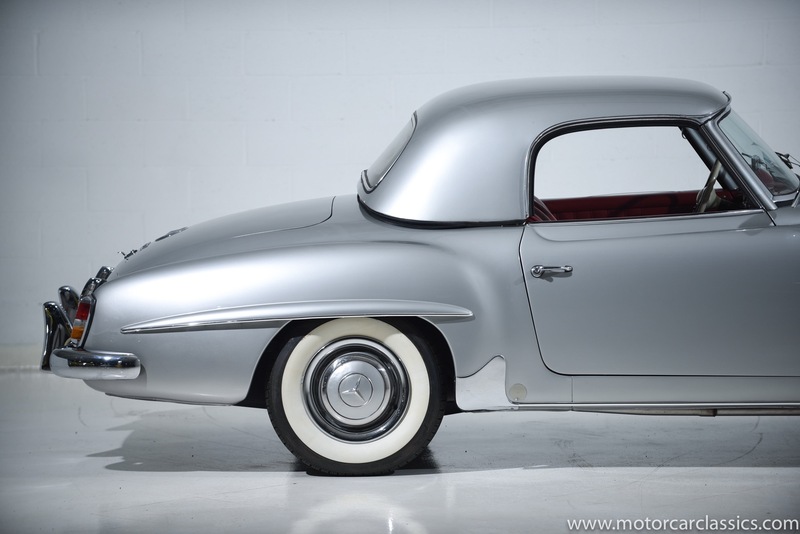 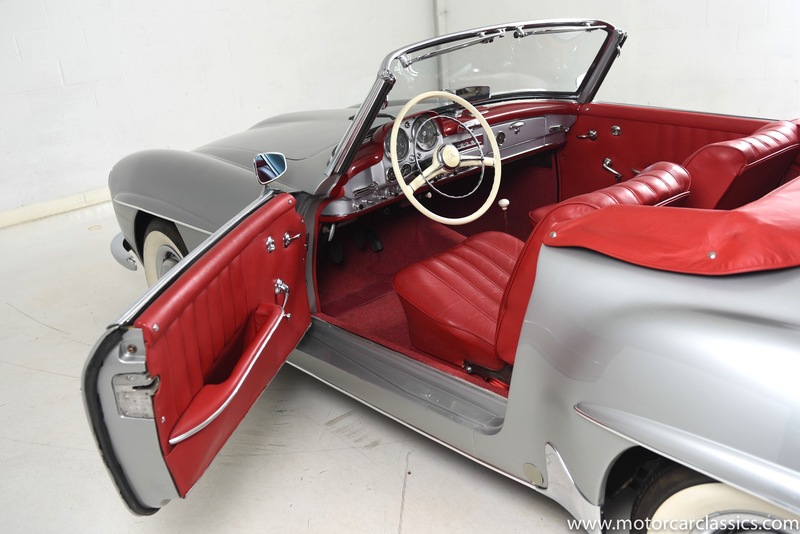 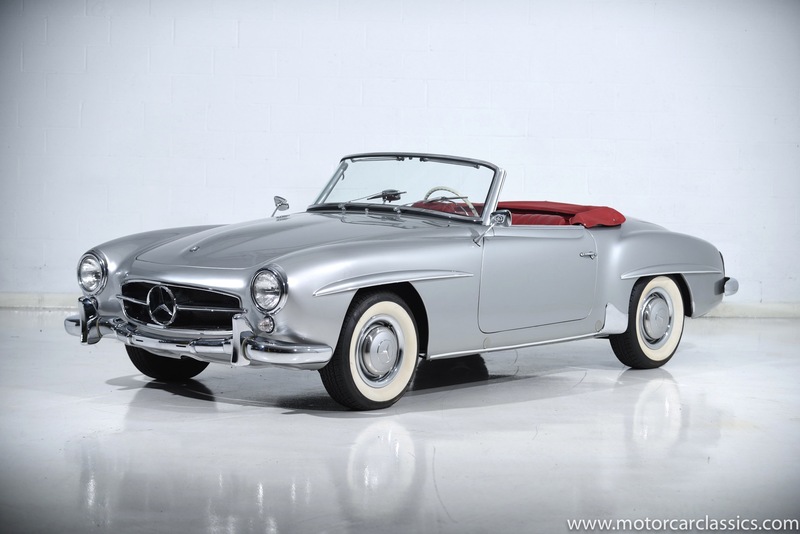 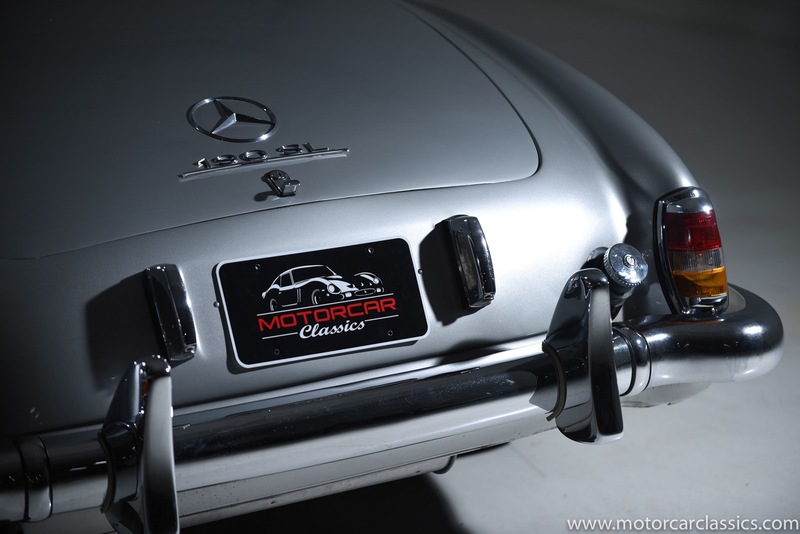 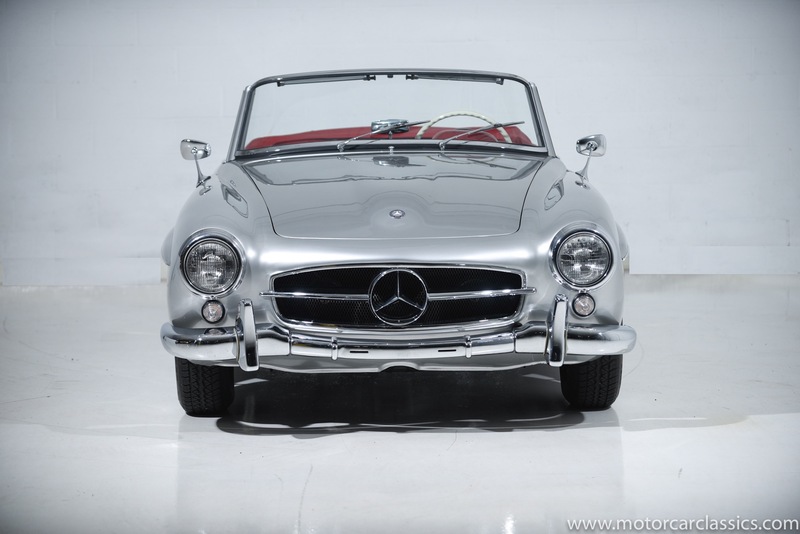 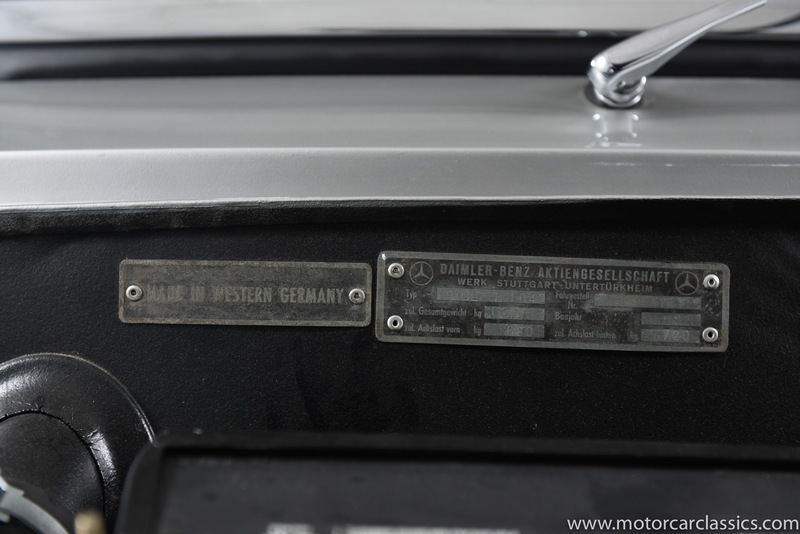 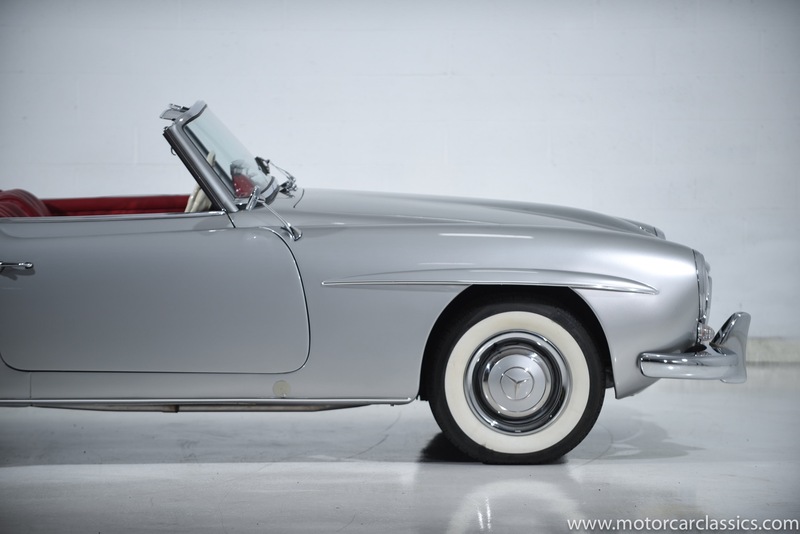 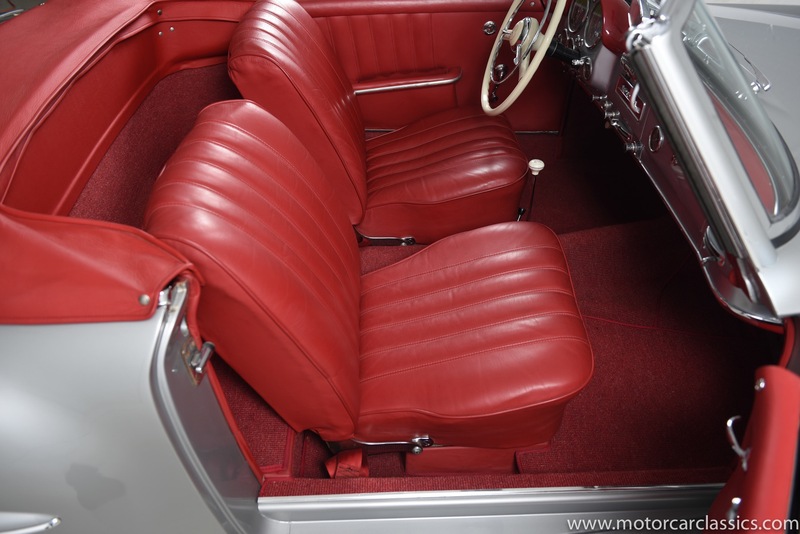 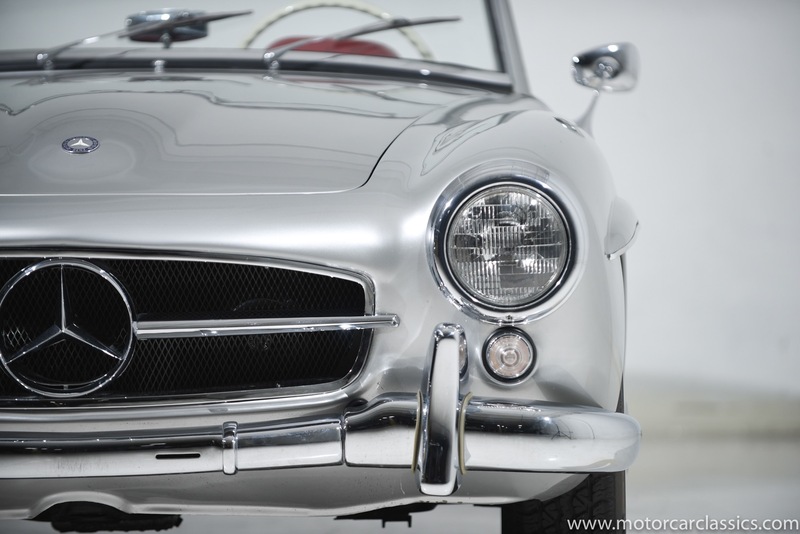 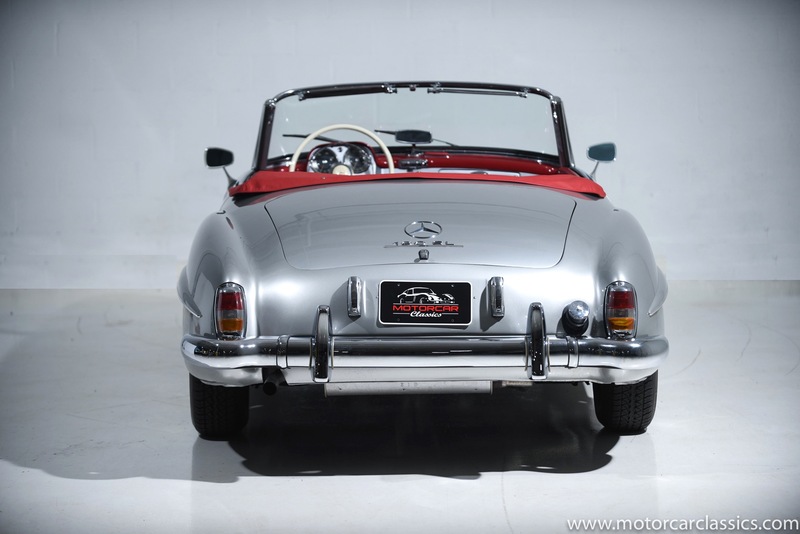 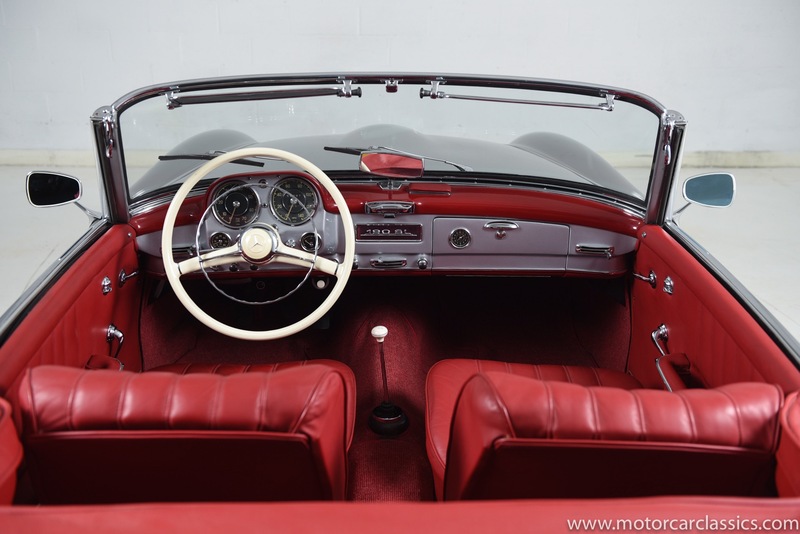 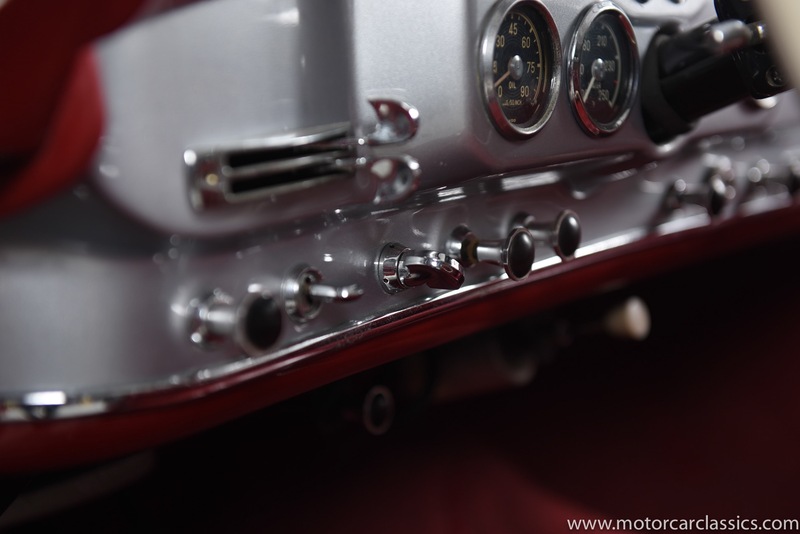 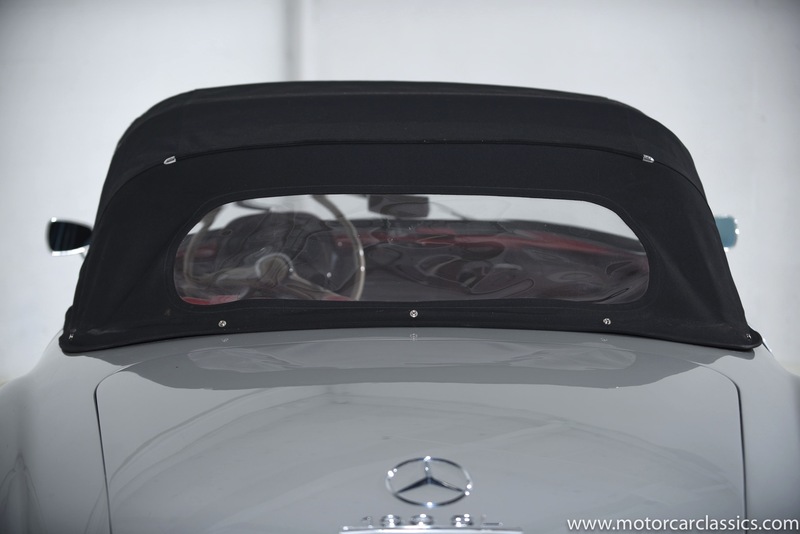 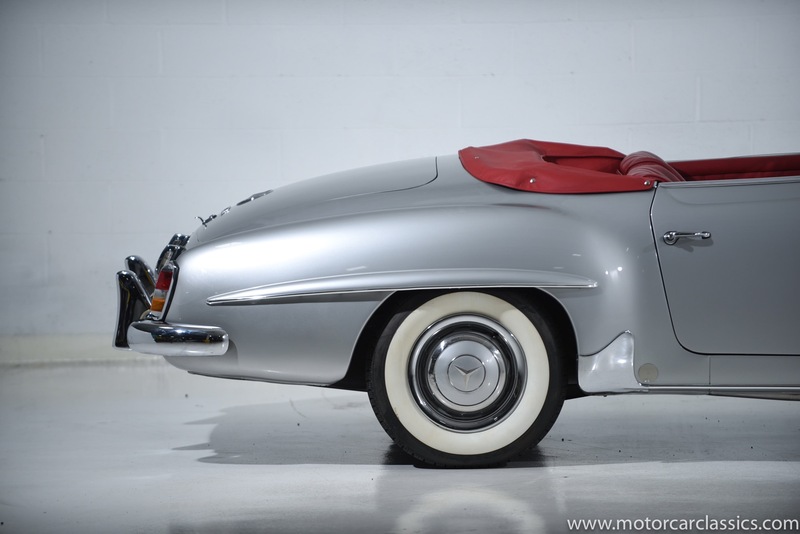 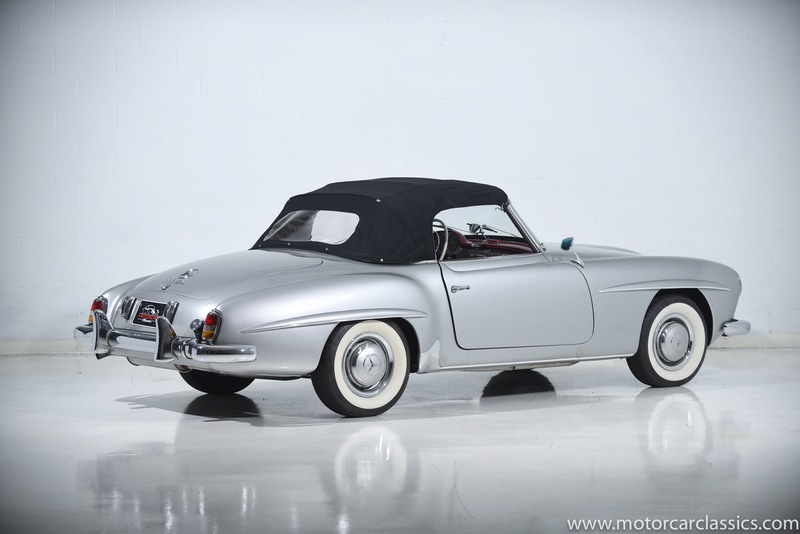 1957 MERCEDES-BENZ 190SL Roadster for sale. 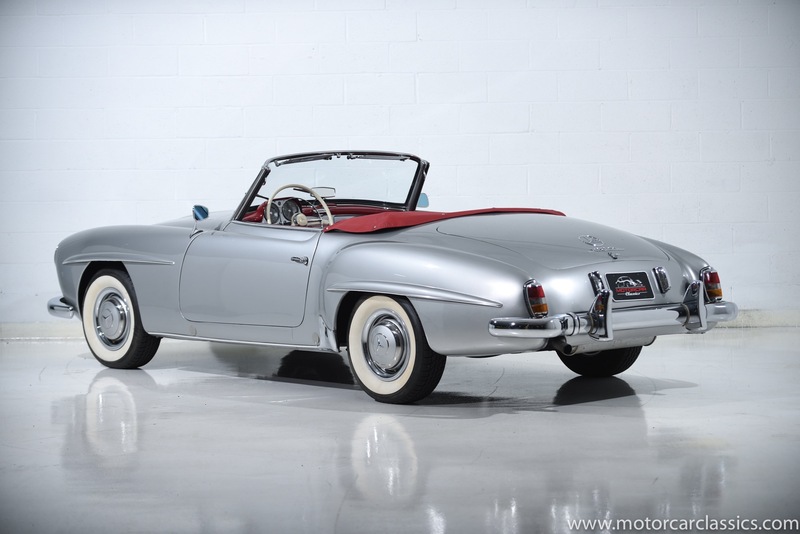 Motorcar Classics is pleased to present this beautiful 1957 Mercedes 190SL Roadster featured in silver, with a rare matching silver removable factory hard top, black convertible top, and red leather interior. 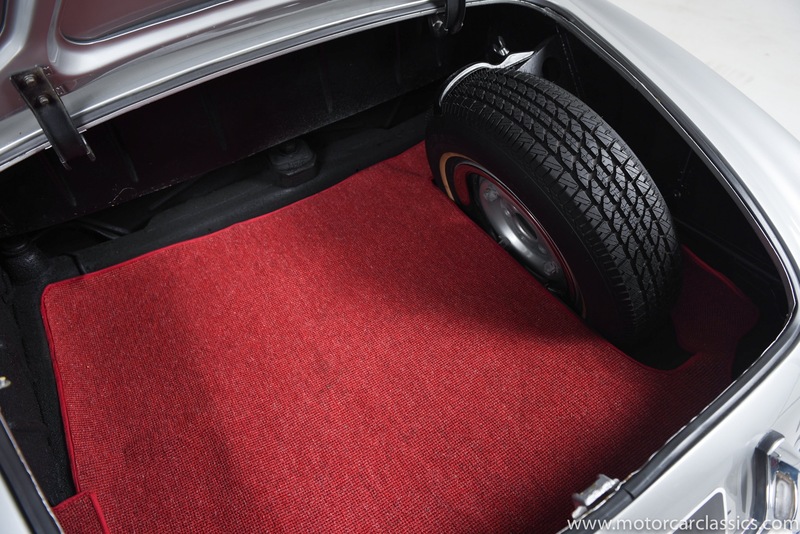 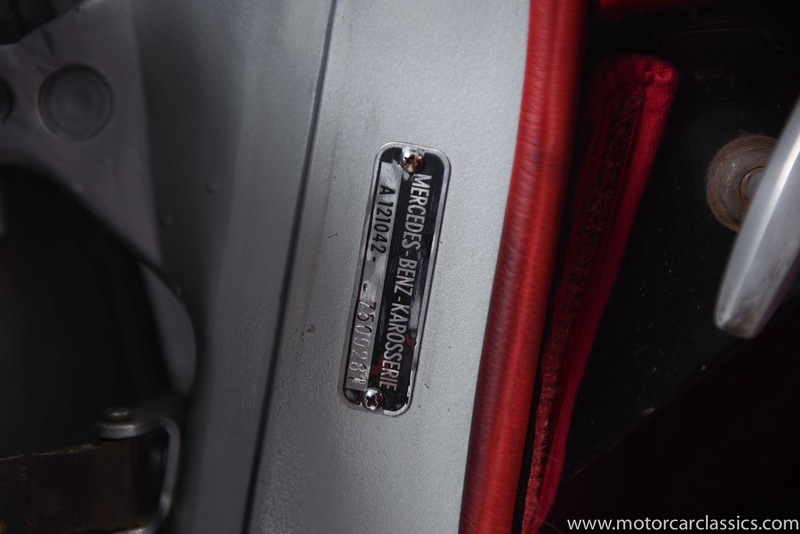 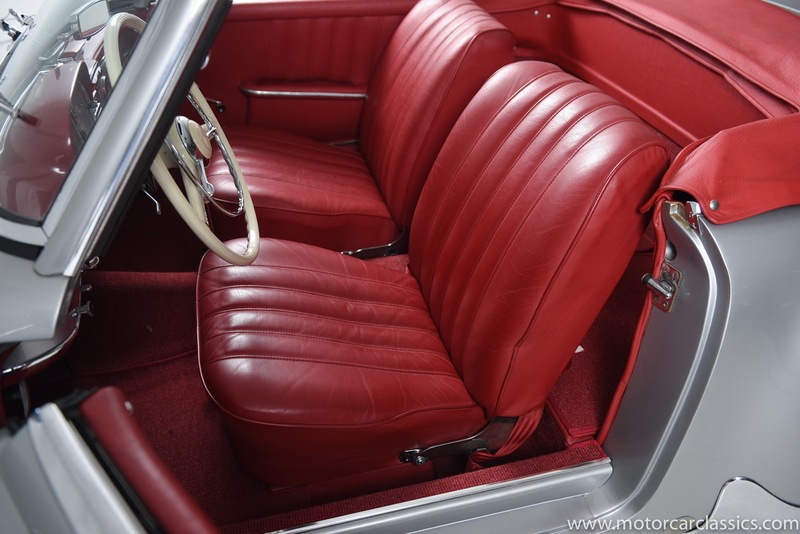 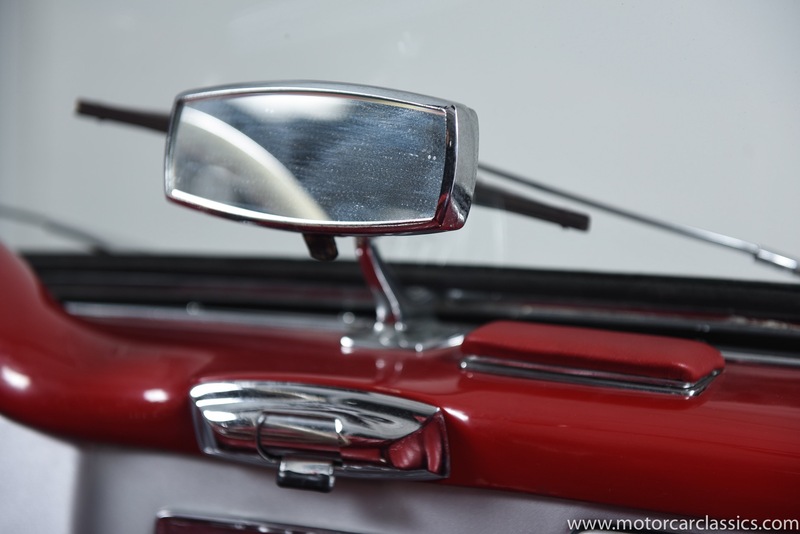 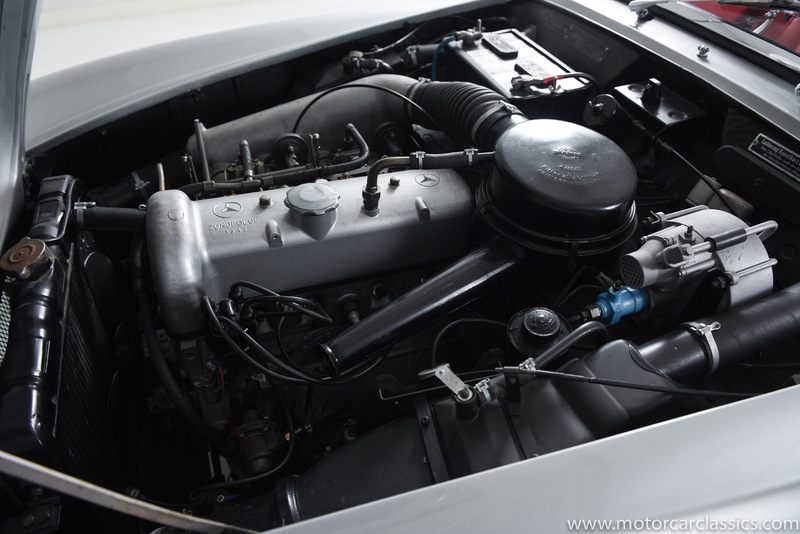 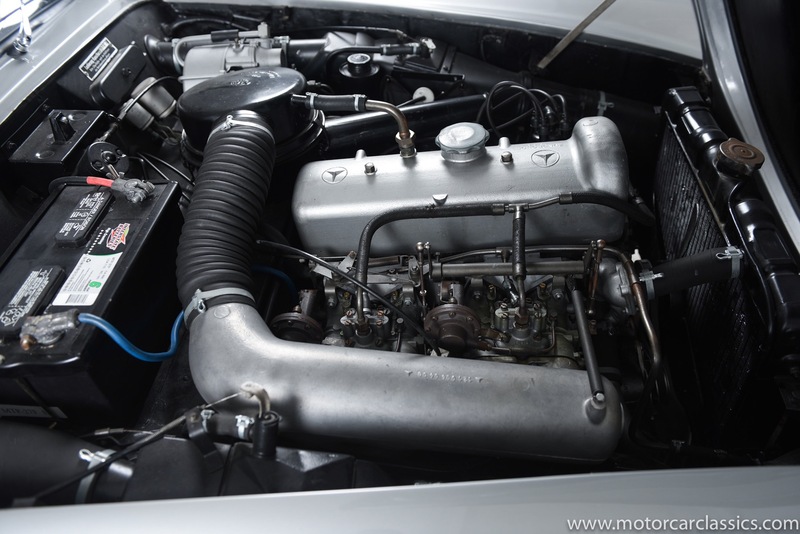 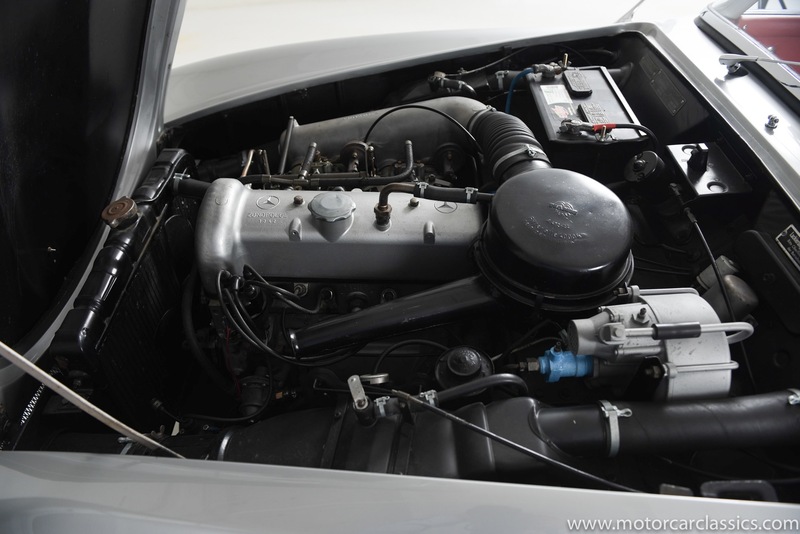 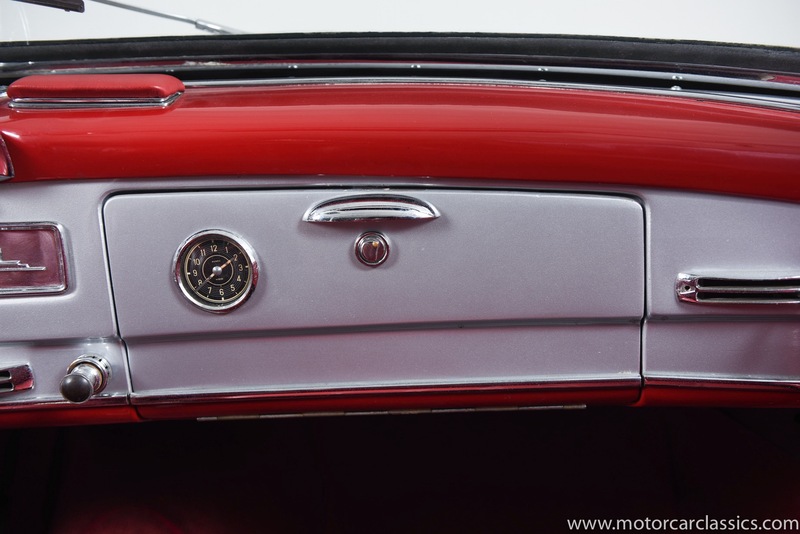 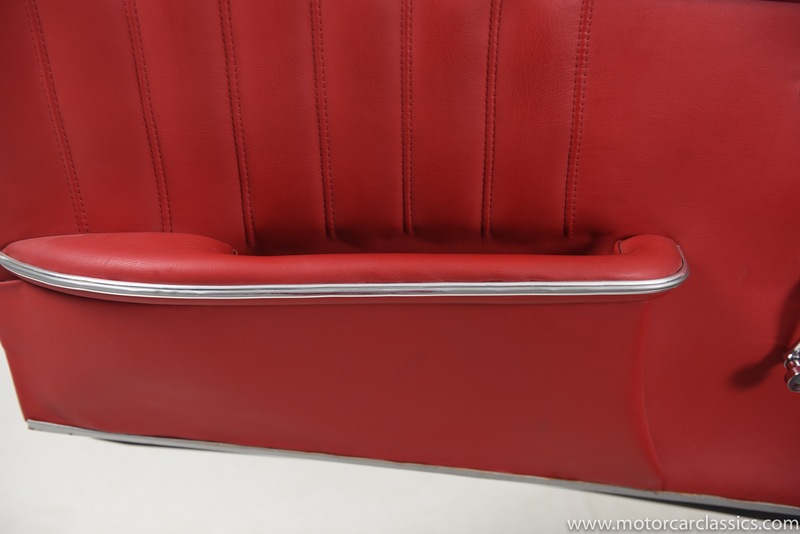 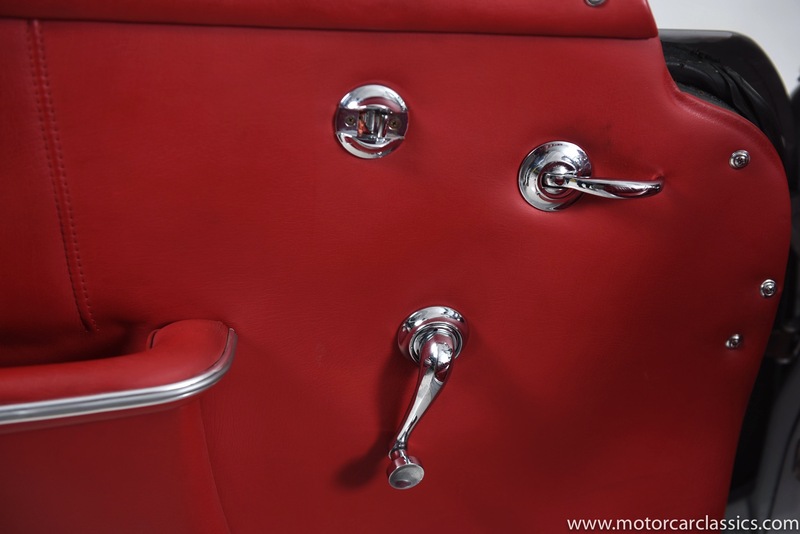 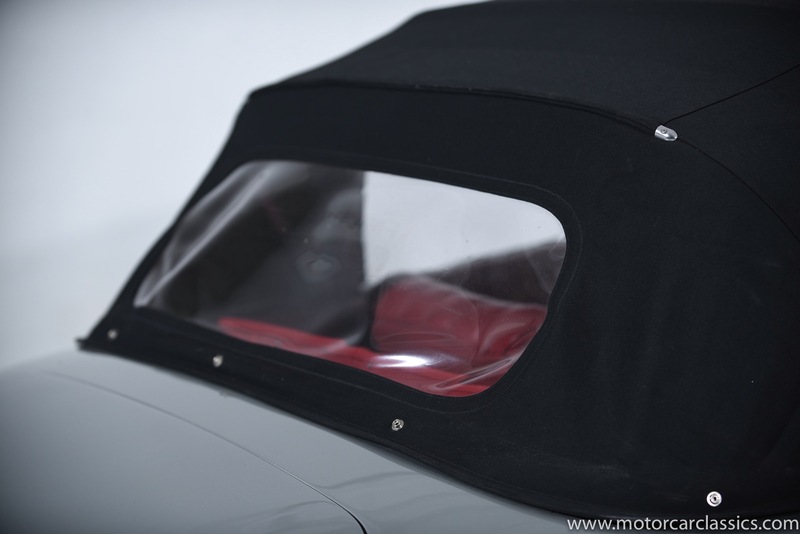 The car has been subject to a complete nut & bolt restoration and is in excellent condition. 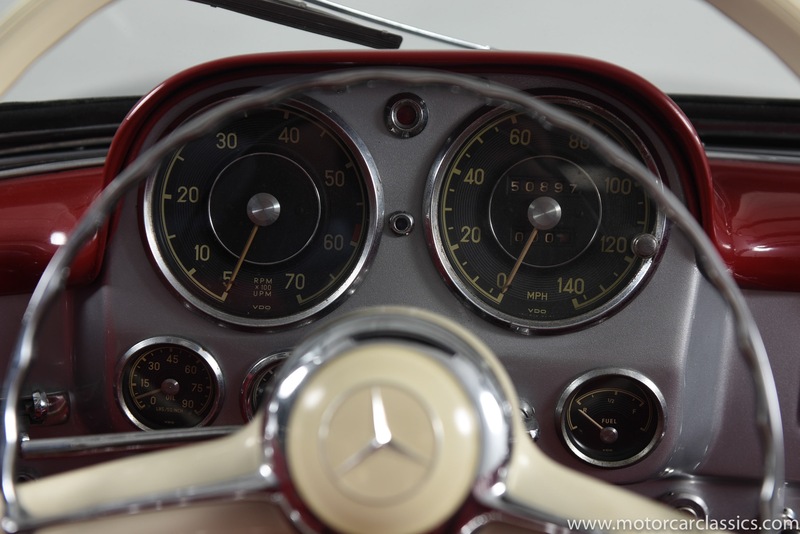 It is all matching numbers. 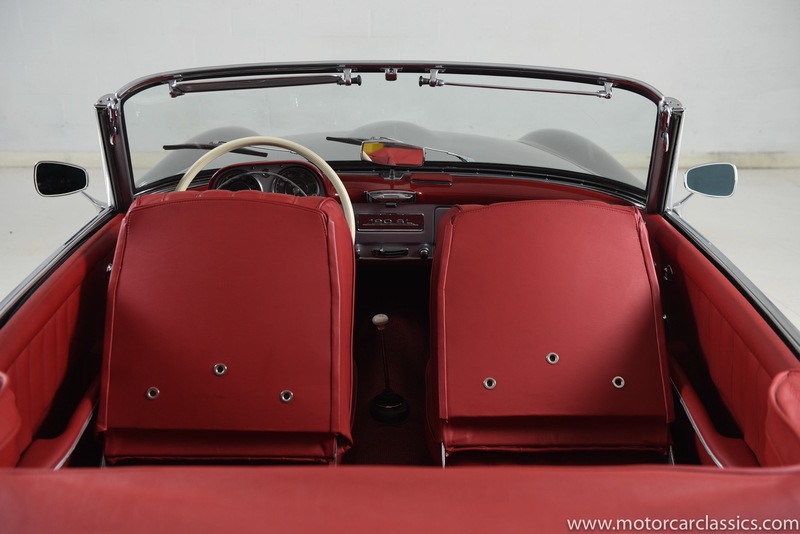 Having been used gently since the restoration, it is well-sorted and ready for touring.